Return of A Classic Feature! It's a big holiday weekend in the United States and as such it's our tradition to host a feature talking about which games we the staff will be playing this weekend! This weekend's theme is RPG's! 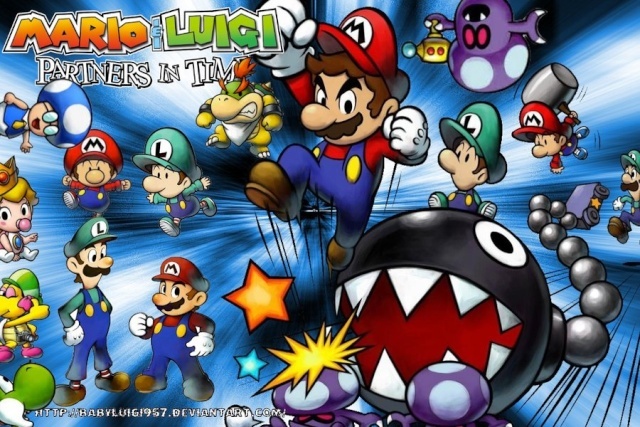 This weekend I'll be playing some Mario & Luigi: Partners in Time and Fire Emblem: Sacred Stones. I'd also be down for some MK8 online races as well if anyone wants to ask me to race with them. I might also play some Final Fantasy VII as well on the retro side of things. That's all for this week! As always more staff members will add to this article tonight, be sure to tell us what you're going to be playing this weekend in our comments below "unless you're a crew member" then just edit your part into this article! Happy Independence Day! As I said not too much time gaming. It's been such a long time since you've posted anything on this website! Mario Kart 8 and Super Smash Bros. 3DS!